In real estate, many realtors often think that if a property has been on the market for a while, there is generally something wrong with it. Thankfully, when it comes to finding the best property for her clients, Bete does not think like most other real estate professionals. It’s really interesting how a home can be viewed when it sits on the market for t0o long. Fortunately for her clients, Bete knows not to judge a listing by its marketing! One of Bete’s repeat clients decided he wanted to add to his real estate portfolio. They came across multiple homes that felt “almost” perfect. But everything changed once they stumbled upon a true diamond in the rough: a spectacular 4 bedroom, 3 bath home that had been owned by the same family since 1957. Not only was this Mid Century gem in perfect condition to maintain its architectural bones while bringing it up to 2018 standards, the home felt like a natural fit for her client’s growing family. In this case, the listing agent was not local; nor was she an expert in these types of properties. Because of this, her marketing and pricing did the property a disservice. This is where the WIN comes into play. 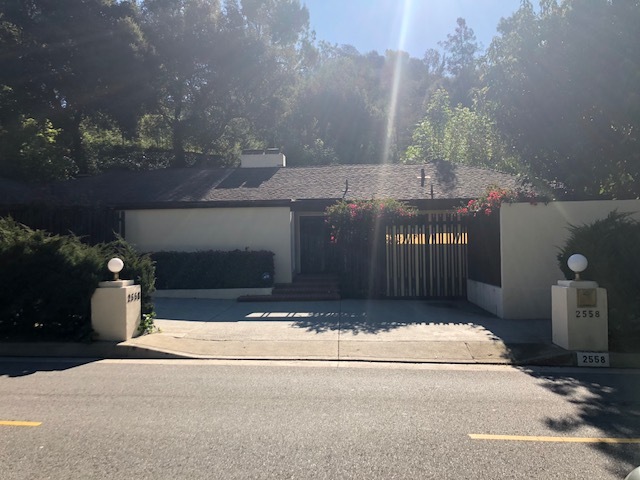 Bete knew that if this home was listed by a fellow Beverly Hills Realtor, not only would it have been priced higher, it would have sold in multiples a long time ago. Bete encouraged her clients to look beyond the time the property had been on the market because she understood the true value of the property. At the end of their search, Bete’s clients ended up with an incredible mid-century home with vaulted wood ceilings, pendant lighting, a floor-to-ceiling double-sided brick fireplace, walls of glass, redwood decking, canyon views, in the Old Hutton Estates area of Beverly Hills. If you’re in the market for a great property, work with an agent who is willing to look past convention to find and secure the perfect home for you. Look to Bete. Give her a call today to discuss your real estate needs.